Today, the world offers us more options than ever before, but it also forces us to juggle more priorities, to make more choices, and to make them faster. The result: a crisis of doing too much, or not enough, and making our decisions based on impulse, stress or guilt. 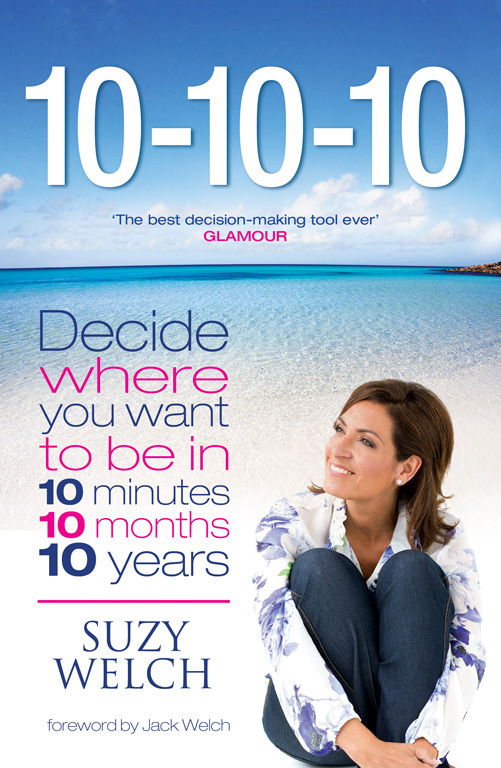 In 10-10-10Suzy Welch offers an exciting, effective strategy that will help you make the right decision in any situation, at work or at home; with colleagues, family or friends. The rule is deceptively simple: when faced with a decision, consider what the consequences and outcomes of your various options would be in 10 minutes, 10 months, and 10 years. But the results are extraordinary. Using the framework of 10-10-10will allow you to think through your decisions and to match them with the expectations and values you hold dearest. Most importantly, it allows you to chart a path in the direction you want, and to head confidently towards it with focus, balance, and joy.